Published: Feb. 1, 2019, 4:54 p.m. There is no doubt that Minecraft is a success, the game that had its first release (Alpha) released on May 17, 2009, is about to turn 10 and still has many fans and players around the world. The game began to be developed on May 10, 2009 by Markus "Notch" Persson. Having its gameplay inspired by games like Dwarf Fortress, Dungeon Keeper and Infiniminer. It's an open world game, where not a script to follow, just blocks. With the blocks you can create many things, so basically the game is to collect things, create things and survive. 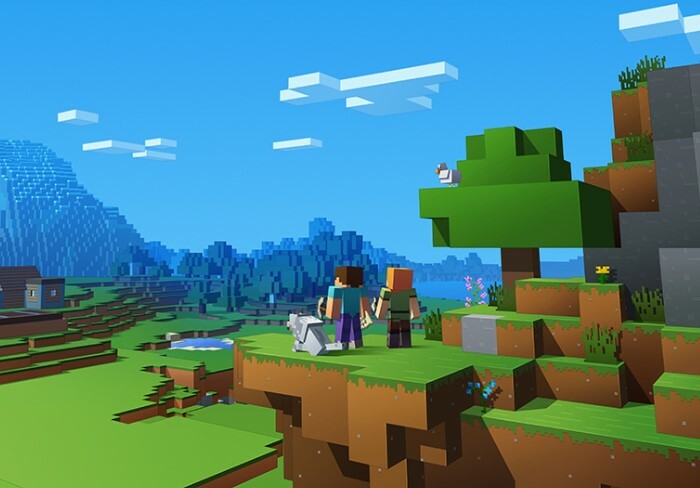 After the initial success of Minecraft the game was acquired by Microsoft for $ 2.5 Billion and on June 2, 2016 became the second best selling game on the planet. But there are versions that we can play Minecraft Online directly from our browser. Today there are many, if not thousands, of channels on Minecraft. Youtubers love the game and are always looking for a way to innovate in Minecraft, either by doing an animated series with the characters or by performing in-game challenges. Minecraft has been leading the way in recent years in YouTube's disclosures of which games are most successful on the platform. And you play Minecraft? Then go another list with Minecraft Online Games for you to have fun without downloading anything. Just pick one and get ready for the fun! Published: Jan. 5, 2019, 12:07 a.m. Published: Dec. 15, 2018, 12:28 a.m. Published: Dec. 15, 2018, 12:32 a.m. Published: Dec. 15, 2018, 12:36 a.m.